Northern Vermont’s Nancy and John Hayden have spent the last 25 years transforming their draft horse–powered, organic vegetable and livestock operation into an agroecological, regenerative, biodiverse, organic fruit farm, fruit nursery, and pollinator sanctuary. In Farming on the Wild Side they explain the philosophical and scientific principles that influenced them as they phased out sheep and potatoes and embraced apples, pears, stone fruits, and a wide variety of uncommon berry crops; turned much of their property into a semi-wild state; and adapted their marketing and sales strategies to the new century. As the Haydens pursued their goals of enhancing biodiversity and regenerating their land, they incorporated agroforestry and permaculture principles into perennial fruit polycultures, a pollinator sanctuary, repurposed greenhouses for growing fruit, hügelkultur, and ecological “pest” management. Beyond the practical techniques and tips, this book also inspires readers to develop greater ecological literacy and respect for the mysteries of the global ecosystem. Farming on the Wild Side tells a story about new ways to manage small farms and homesteads, about nurturing land, about ecology, about economics, and about things that we can all do to heal both the land and ourselves. Year-Round Indoor Salad Gardening offers good news: with nothing more than a cupboard and a windowsill, you can grow all the fresh salad greens you need for the winter months (or throughout the entire year) with no lights, no pumps, and no greenhouse. Longtime gardener Peter Burke was tired of the growing season ending with the first frost, but due to his busy work schedule and family life, didn’t have the time or interest in high-input grow lights or greenhouses. Most techniques for growing what are commonly referred to as “microgreens” left him feeling overwhelmed and uninterested. There had to be a simpler way to grow greens for his family indoors. After some research and diligent experimenting, Burke discovered he was right—there was a way! And it was even easier than he ever could have hoped, and the greens more nutrient packed. He didn’t even need a south-facing window, and he already had most of the needed supplies just sitting in his pantry. The result: healthy, homegrown salad greens at a fraction of the cost of buying them at the market. The secret: start them in the dark. Growing “Soil Sprouts”—Burke’s own descriptive term for sprouted seeds grown in soil as opposed to in jars—employs a method that encourages a long stem without expansive roots, and provides delicious salad greens in just seven to ten days, way earlier than any other method, with much less work. Indeed, of all the ways to grow immature greens, this is the easiest and most productive technique. Forget about grow lights and heat lamps! 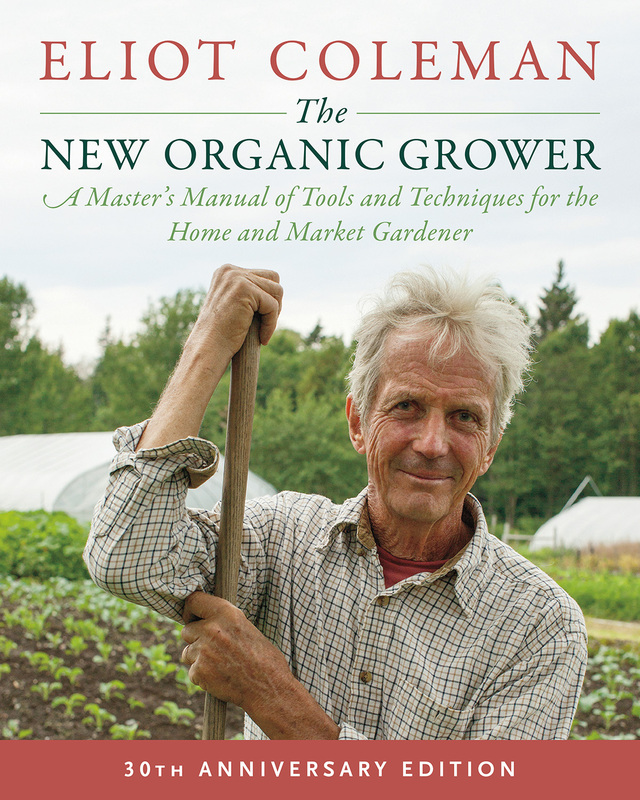 This book is a revolutionary and inviting guide for both first-time and experienced gardeners in rural or urban environments. All you need is a windowsill or two. In fact, Burke has grown up to six pounds of greens per day using just the windowsills in his kitchen! Year-Round Indoor Salad Gardening offers detailed step-by-step instructions to mastering this method (hint: it’s impossible not to succeed, it’s so easy! ), tools and accessories to have on hand, seeds and greens varieties, soil and compost, trays and planters, shelving, harvest and storage, recipes, scaling up to serve local markets, and much more. “Society does not generally expect its farmers to be visionaries.” Perhaps not, but longtime Maine farmer and homesteader Will Bonsall does possess a unique clarity of vision that extends all the way from the finer points of soil fertility and seed saving to exploring how we can transform civilization and make our world a better, more resilient place. In Will Bonsall’s Essential Guide to Radical, Self-Reliant Gardening, Bonsall maintains that to achieve real wealth we first need to understand the economy of the land, to realize that things that might make sense economically don’t always make sense ecologically, and vice versa. The marketplace distorts our values, and our modern dependence on petroleum in particular presents a serious barrier to creating a truly sustainable agriculture. For him the solution is, first and foremost, greater self-reliance, especially in the areas of food and energy. By avoiding any off-farm inputs (fertilizers, minerals, and animal manures), Bonsall has learned how to practice a purely veganic, or plant-based, agriculture—not from a strictly moralistic or philosophical perspective, but because it makes good business sense: spend less instead of making more. In a friendly, almost conversational way, Bonsall imparts a wealth of knowledge drawn from his more than forty years of farming experience. The Tao of Vegetable Gardening explores the practical methods as well as the deeper essence of gardening. In her latest book, groundbreaking garden writer Carol Deppe (The Resilient Gardener, Breed Your Own Vegetable Varieties) focuses on some of the most popular home garden vegetables—tomatoes, green beans, peas, and leafy greens—and through them illustrates the key principles and practices that gardeners need to know to successfully plant and grow just about any food crop. • The Eat-All Greens Garden, a labor- and space-efficient way to provide all the greens a family can eat, freeze, and dry—all on a tiny piece of land suitable for small-scale and urban gardeners. 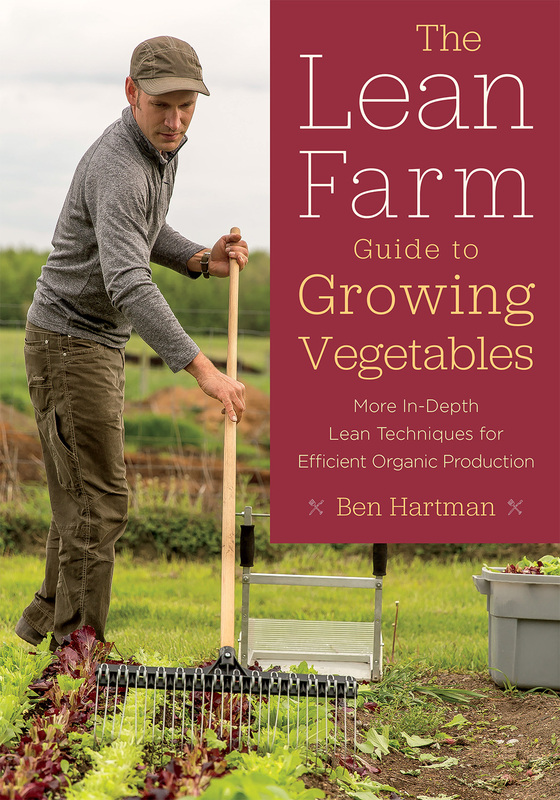 • The growing problem of late blight and the future of heirloom tomatoes—and what gardeners can do to avoid problems, and even create new resistant varieties. • Establishing a Do-It-Yourself Seed Bank, including information on preparing seeds for long-term storage and how to “dehybridize” hybrids. • Twenty-four good places to not plant a tree, and thirty-seven good reasons for not planting various vegetables. When Eric Toensmeier and Jonathan Bates moved into a duplex in a run-down part of Holyoke, Massachusetts, the tenth-of-an-acre lot was barren ground and bad soil, peppered with broken pieces of concrete, asphalt, and brick. The two friends got to work designing what would become not just another urban farm, but a “permaculture paradise” replete with perennial broccoli, paw paws, bananas, and moringa—all told, more than two hundred low-maintenance edible plants in an innovative food forest on a small city lot. The garden—intended to function like a natural ecosystem with the plants themselves providing most of the garden’s needs for fertility, pest control, and weed suppression—also features an edible water garden, a year-round unheated greenhouse, tropical crops, urban poultry, and even silkworms. In telling the story of Paradise Lot, Toensmeier explains the principles and practices of permaculture, the choice of exotic and unusual food plants, the techniques of design and cultivation, and, of course, the adventures, mistakes, and do-overs in the process. Packed full of detailed, useful information about designing a highly productive permaculture garden, Paradise Lot is also a funny and charming story of two single guys, both plant nerds, with a wild plan: to realize the garden of their dreams and meet women to share it with. Amazingly, on both counts, they succeed. Imagine growing vegetables that require just about the same amount of care as perennial flowers and shrubs, need no annual tilling or planting, yet thrive and produce abundant and nutritious crops throughout the season. In this DVD—a culmination of workshops recorded in Mexico, Florida, and Massachusetts—plant specialist Eric Toensmeier introduces gardeners to more than 100 species of little-known, underappreciated plants. Ranging beyond the usual suspects (asparagus, rhubarb, and artichoke) to include such delights as ground cherry, ramps, air potatoes, the fragrant spring tree, and the much-sought-after, antioxidant-rich wolfberry (also known as the goji berry), Toensmeier explains how to raise, tend, harvest, and cook with plants that yield great crops and culinary satisfaction. Toensmeier also takes viewers on a plant-by-plant tour of his garden in Massachusetts. In Toensmeier’s book, Perennial Vegetables (Chelsea Green, 2007), the adventurous gardener will find information, tips, and sound advice on less-common edibles that will make any garden a perpetual, low-maintenance source of food. In his book, readers will find perennial vegetables are perfect as part of an edible-landscape plan or permaculture garden. Profiling more than a hundred species, with dozens of color photographs and illustrations, and filled with valuable growing tips, recipes, and resources, Perennial Vegetables is a groundbreaking and ground-healing book that will open the eyes of gardeners everywhere to the exciting world of edible perennials. In the DVD—a culmination of workshops recorded in Mexico, Florida, and Massachusetts—plant specialist Eric Toensmeier introduces gardeners to more than 100 species of little-known, underappreciated plants. Ranging beyond the usual suspects (asparagus, rhubarb, and artichoke) to include such delights as ground cherry, ramps, air potatoes, the fragrant spring tree, and the much-sought-after, antioxidant-rich wolfberry (also known as the goji berry), Toensmeier explains how to raise, tend, harvest, and cook with plants that yield great crops and culinary satisfaction. Toensmeier also takes viewers on a plant-by-plant tour of his garden in Massachusetts. There is no despair in a seed. There’s only life, waiting for the right conditions-sun and water, warmth and soil-to be set free. Everyday, millions upon millions of seeds lift their two green wings. The Seed Underground is a journey to the frontier of seed-saving. 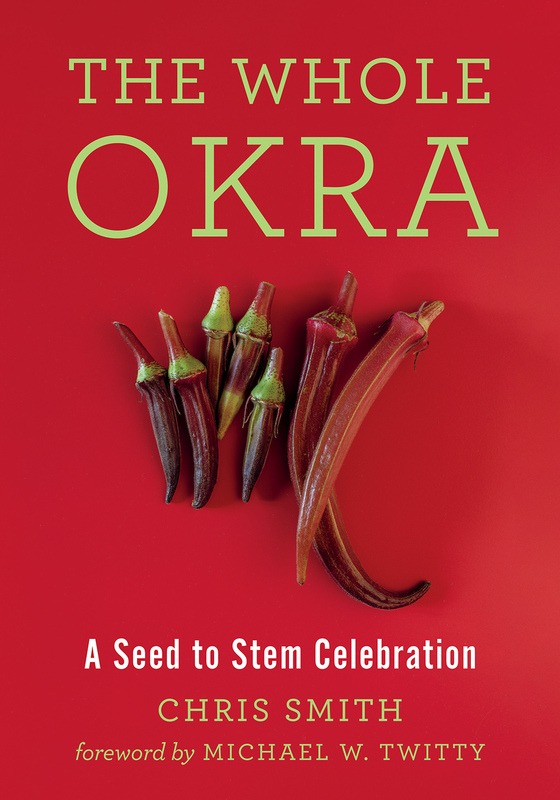 It is driven by stories, both the author’s own and those from people who are waging a lush and quiet revolution in thousands of gardens across America to preserve our traditional cornucopia of food by simply growing old varieties and eating them. The Seed Underground pays tribute to time-honored and threatened varieties, deconstructs the politics and genetics of seeds, and reveals the astonishing characters who grow, study, and save them. Thanks to the resurgence of home and community gardening, more and more people are discovering the pleasure of biting into a sun-ripened tomato picked right off the vine, the earthy smell of freshly turned soil, and the cheerful harbingers of spring such as daffodils, irises, and pansies. But they are also discovering that gardening can be a heck of a lot of work. So what happens when keeping up with the weeds turns into a full-time job? What do you do when gardening becomes stressful? Slow Gardening to the rescue! Inspired by Slow Food, an international movement that promotes local food systems and biological and cultural diversity, the slow-gardening approach can help us all appreciate and enjoy our gardens more, year in and year out.Felder Rushing, a well-known and truly one-of-a-kind garden expert, offers this practical yet philosophical approach to gardening – one that will help you slow down, take stock of your yard, and follow your own creative whimsy in the garden. Slow Gardening will inspire you to slip into the rhythm of the seasons, take it easy, and get more enjoyment out of your garden, all at the same time. 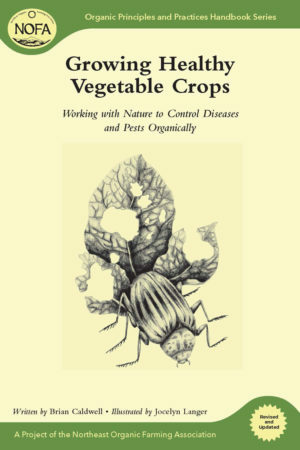 After reading this book, readers will not only have a different view on soil, but on weeds as well. Knowing and utilizing the energies and characteristics of weeds, as Gilman teaches, will make for a more productive garden, and less stressful gardening. Plus detailed appendices including more info on seed cleaning, seed companies, and more. Part of the NOFA Guides series. With extended appendices including a recipe calculator, potting mix recipes, and a sample compost production budget sheet.